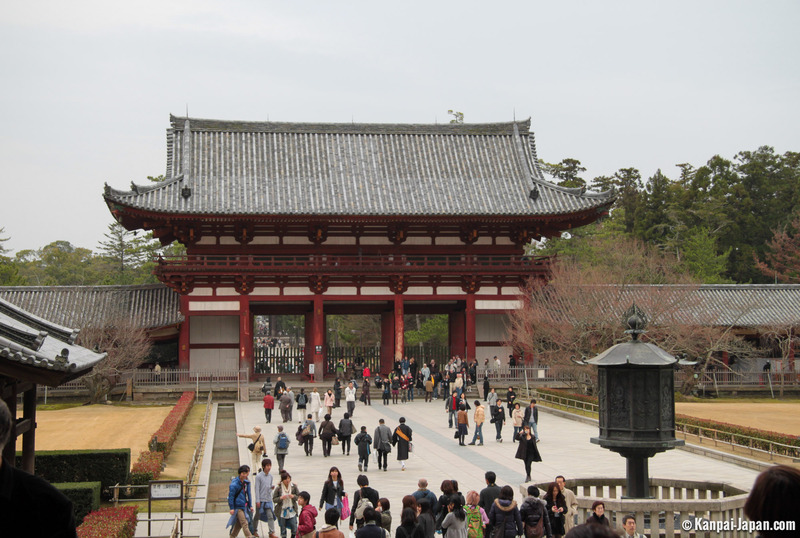 Although Todai-ji shares its kanji with the name of Tokyo University, this is really all they have in common. 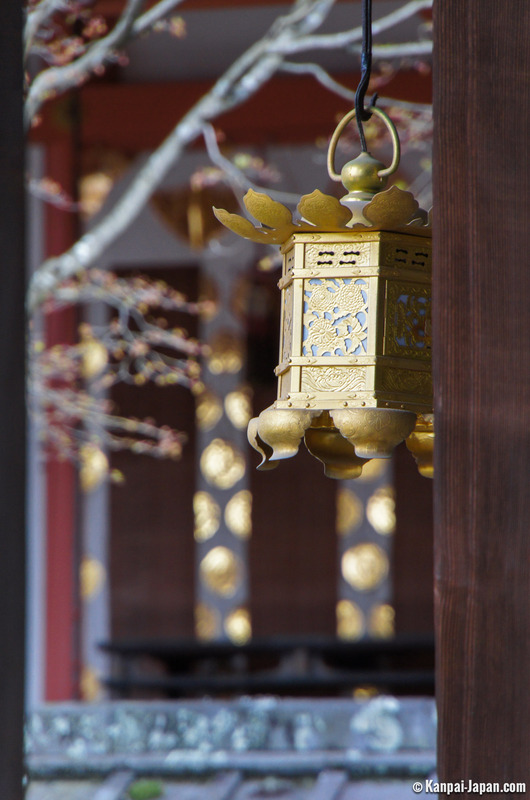 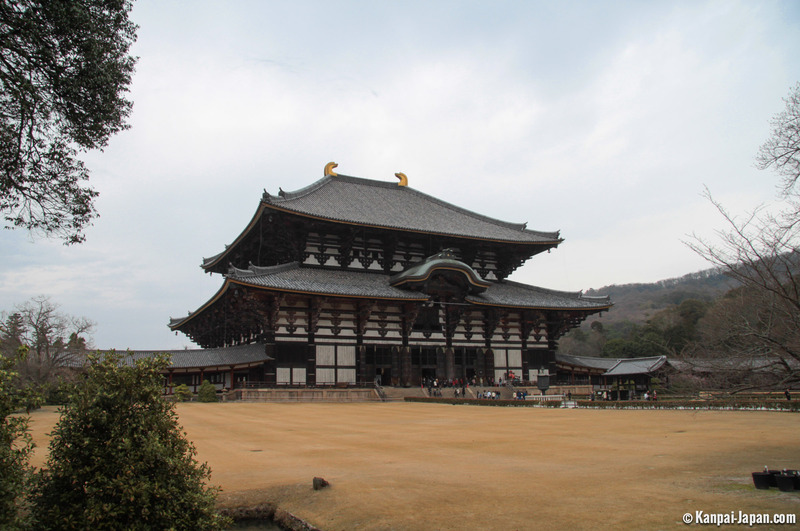 Todai-ji is, indeed, the most famous and probably the most visited temple of the delightful town of Nara. 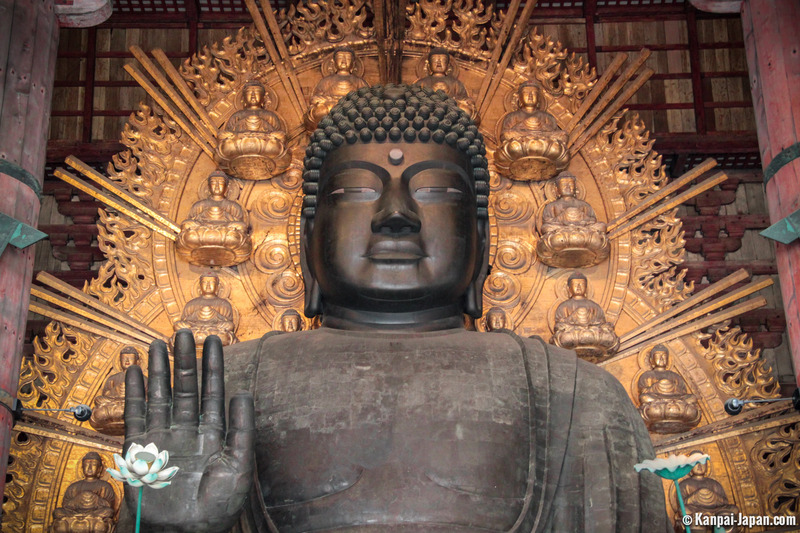 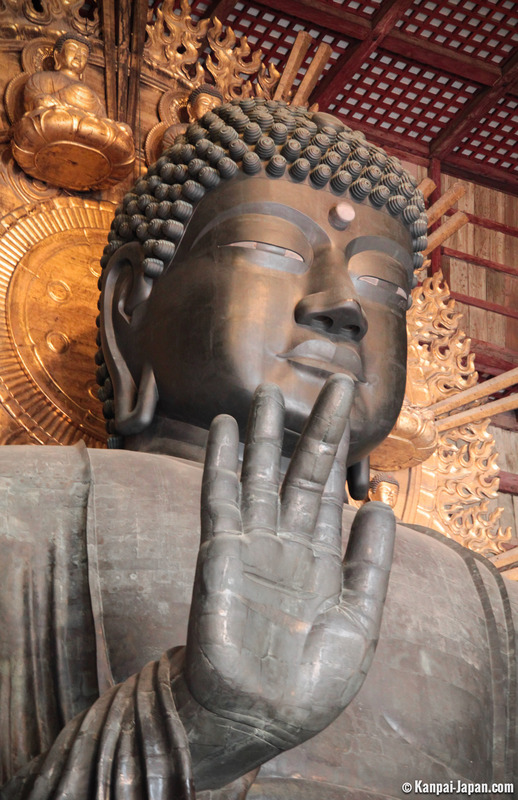 This is mainly due to its architectural masterpiece, a majestic sitting Buddha bronze statue no less than 18 meters tall and 250 tons in weight, ranking between its Kamakura (13 meters) and Nokogiriyama (31 meters) counterparts, although still lagging far behind the most recently built standing Buddha representation of Ushiku (120 meters!). 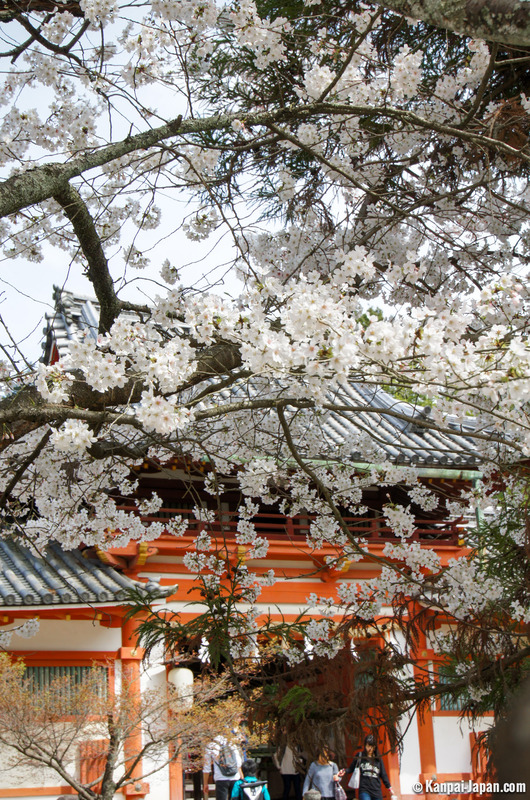 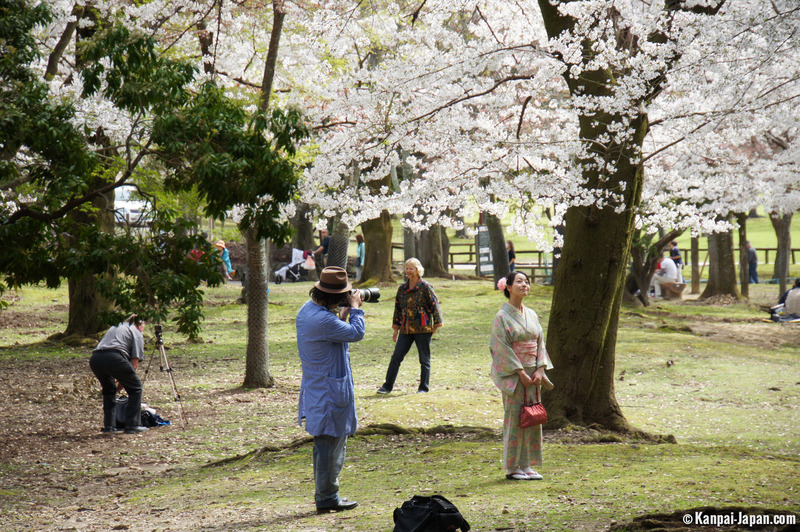 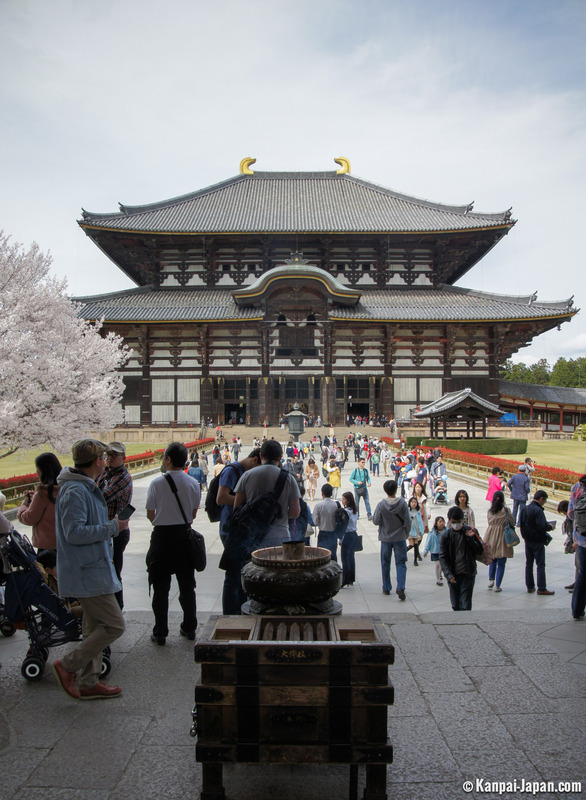 But it is also, and maybe most importantly, the oldest of them all since it was built in the middle of the 8th century, at a time when Nara was still the capital of Japan. 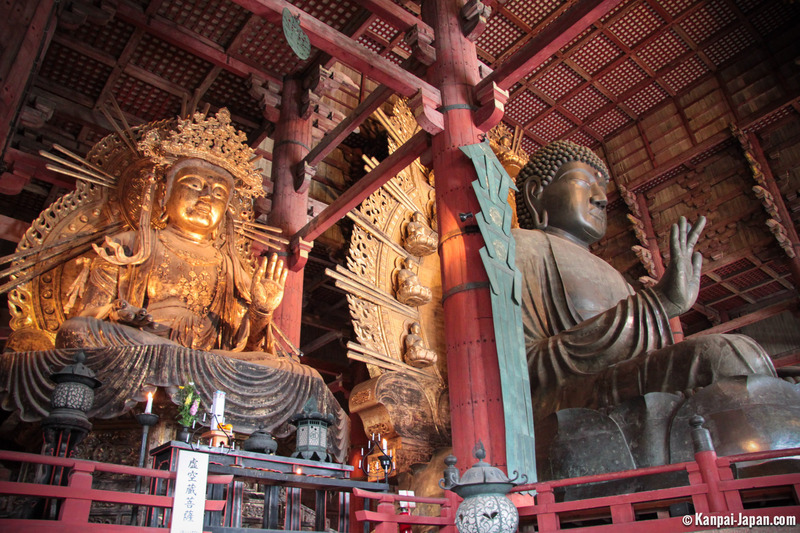 Other monumental, awe-inspiring statues stand by its side and make for an extremely rich visual experience. 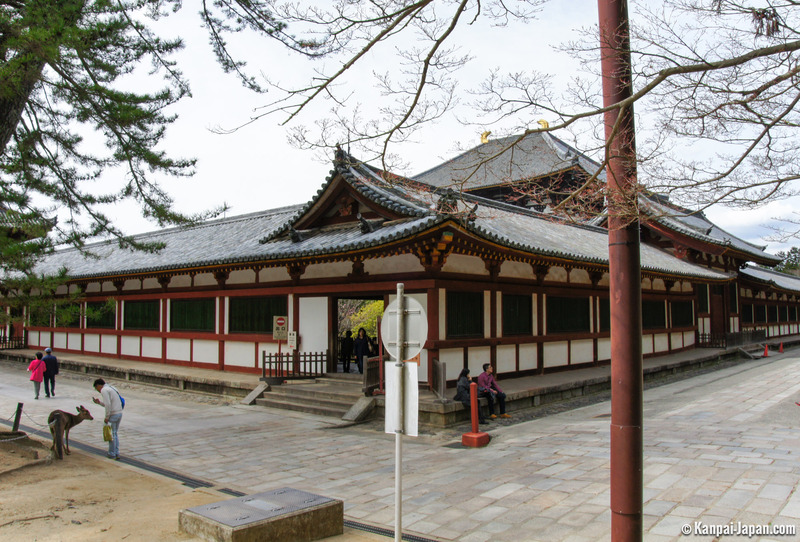 The statues are hosted in the magnificent building of Daibatsu-den, last rebuilt to two-thirds of its original height after a fire in 1692. 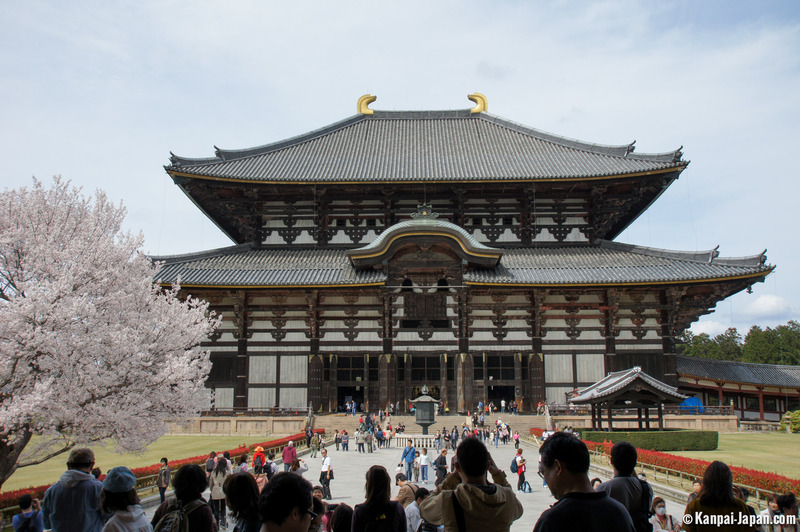 It nonetheless remains, to this day, the highest wooden construction in the world. 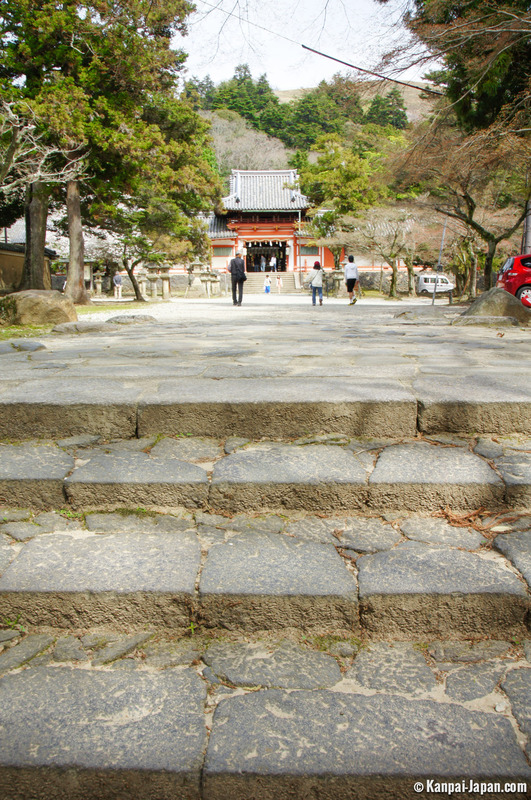 Little wonder that it is a listed Unesco World Heritage Site. 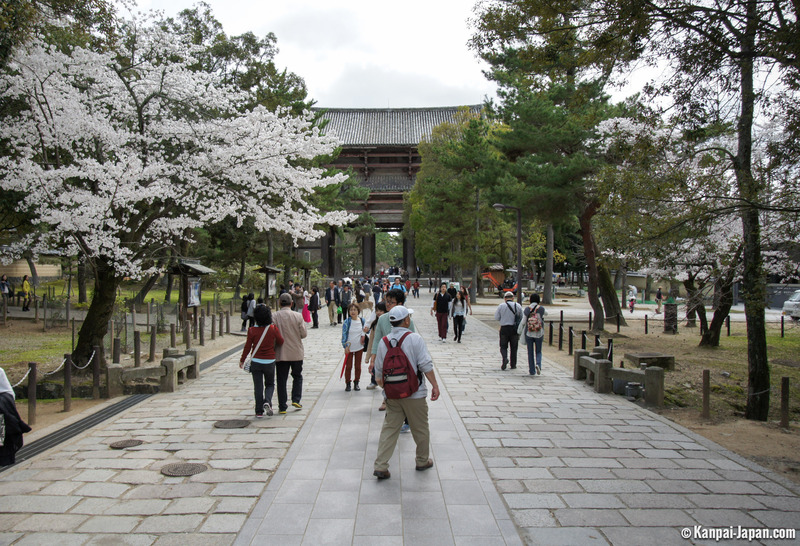 You will see Todai-ji, which means “Great Eastern Temple”, on your left hand side as you make your way from the station to its large park. 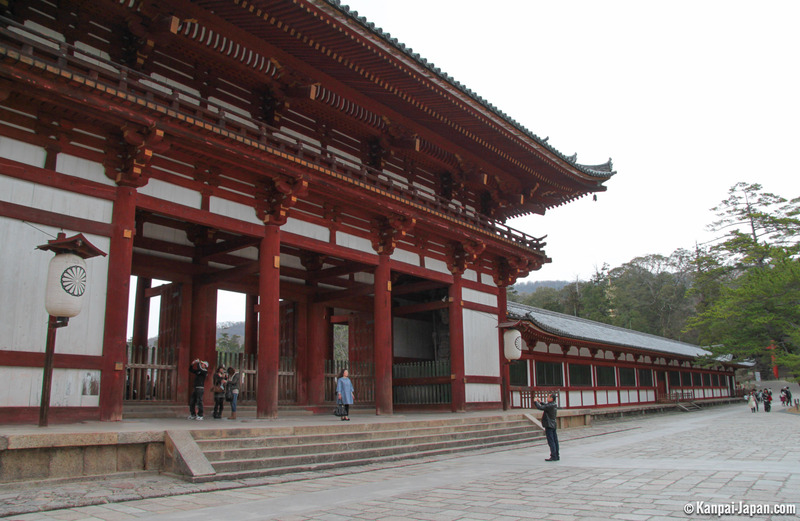 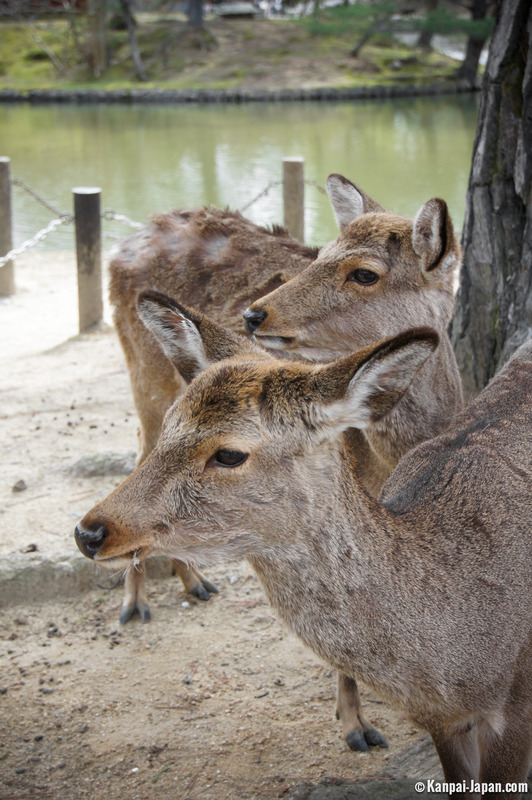 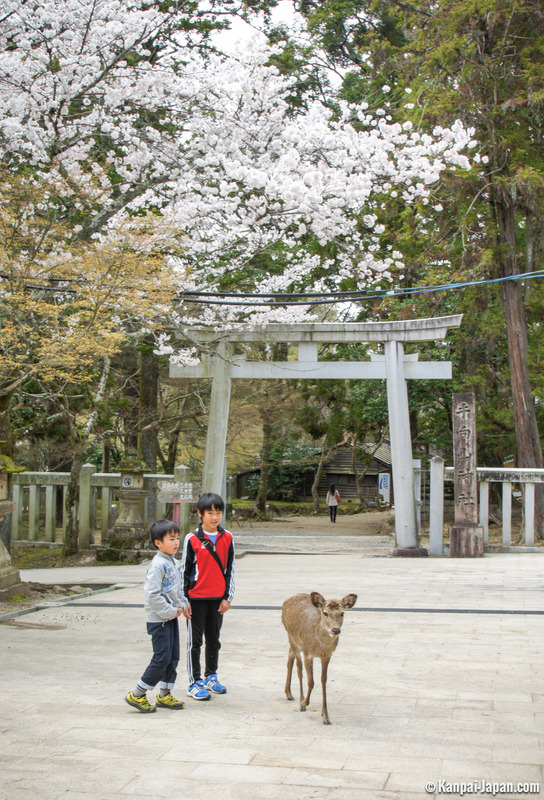 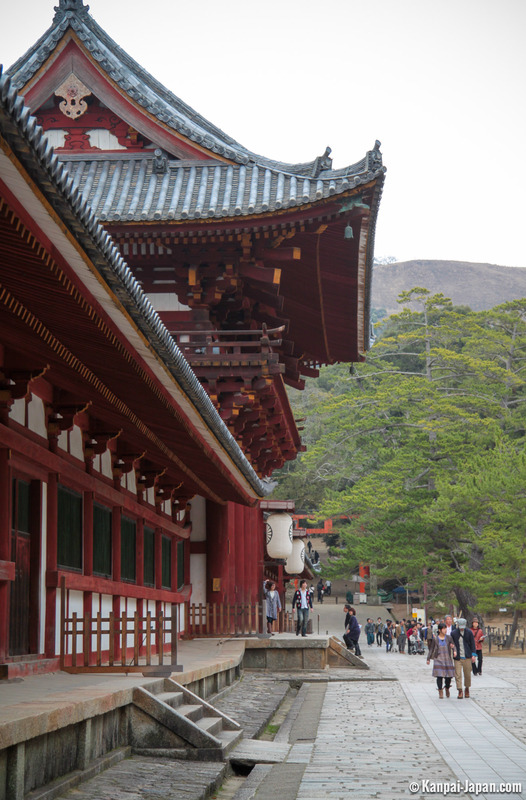 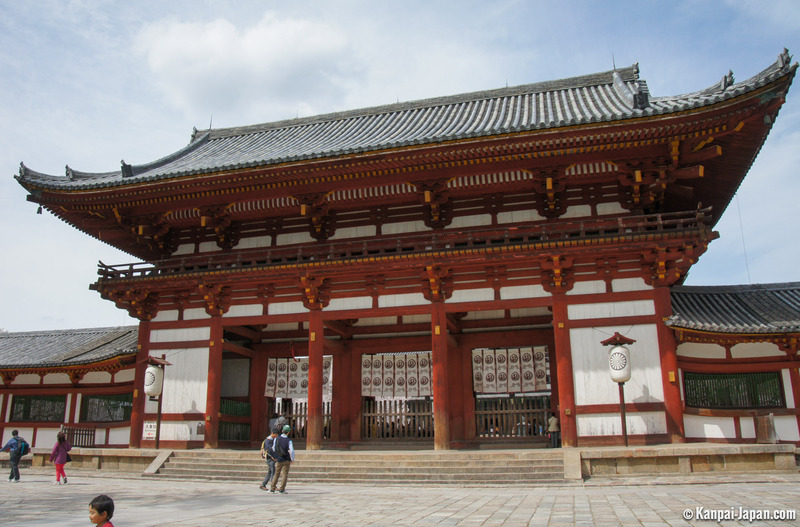 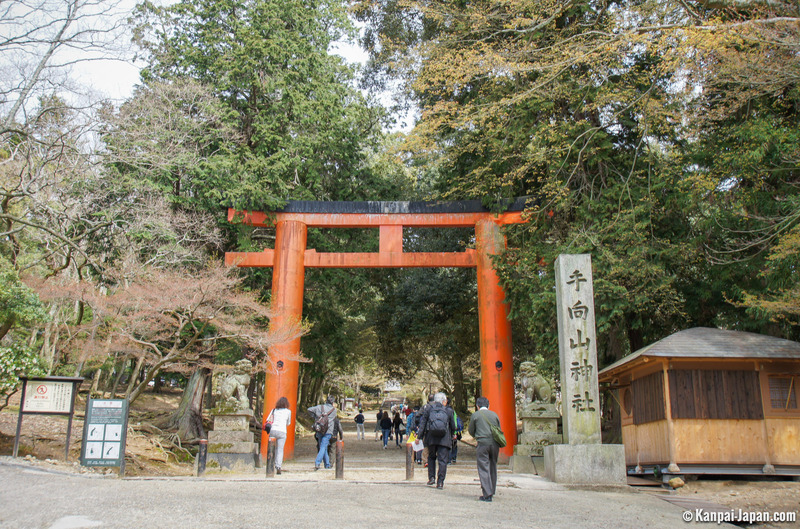 There is no missing Nandai-mon, its large wooden door, a favorite passage for shika deer. 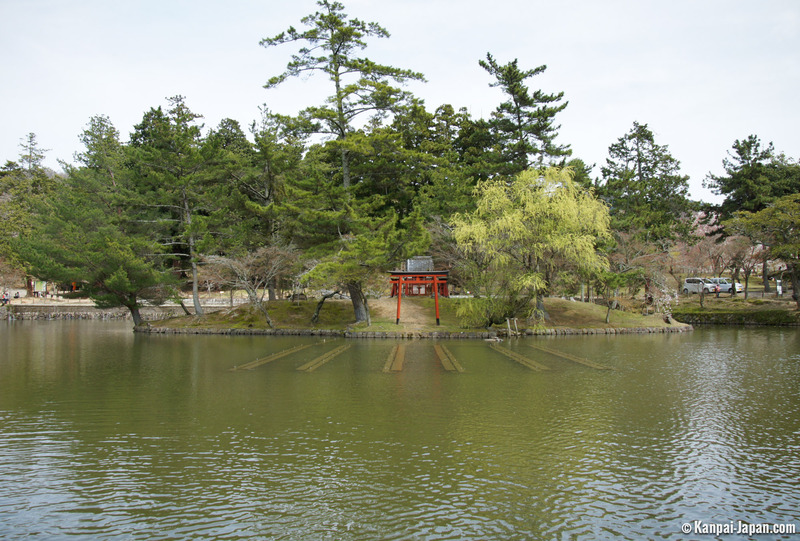 On the way to the temple lies a lake with a tiny islet in the middle which harbors a Shinto torii gate. 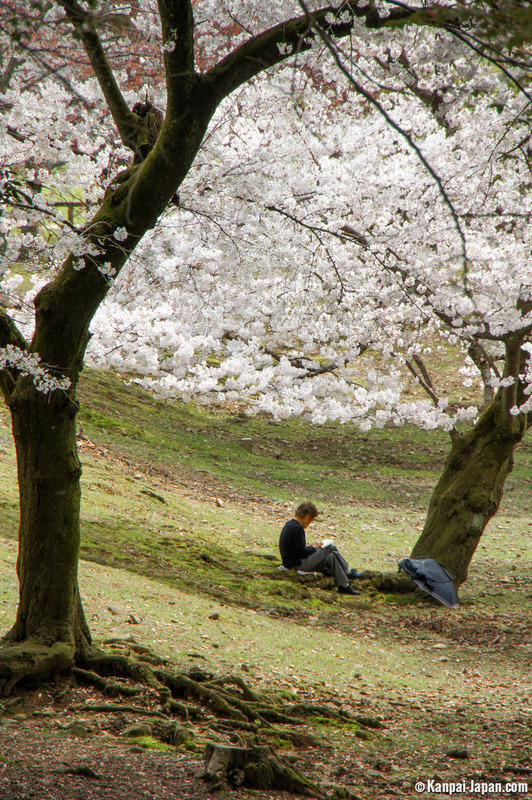 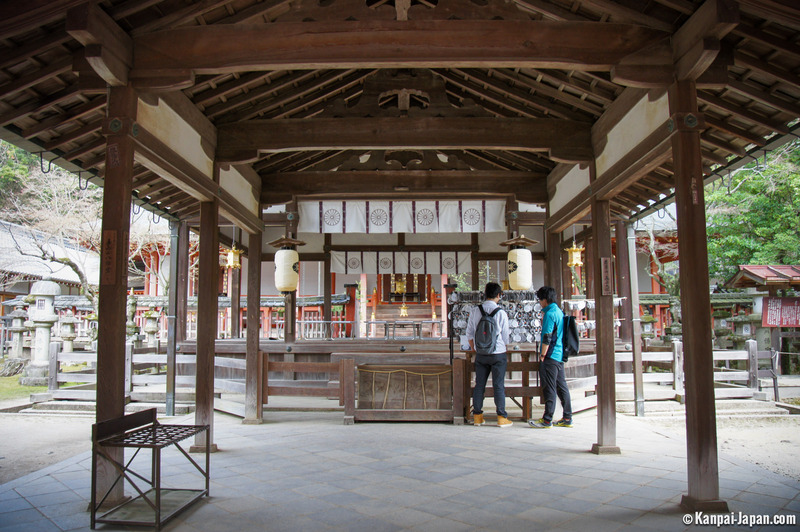 Todai-ji in fact does not consist of Daibutsu-den alone and extends far beyond its walls, mingling with the central park of Nara on its Northern side. 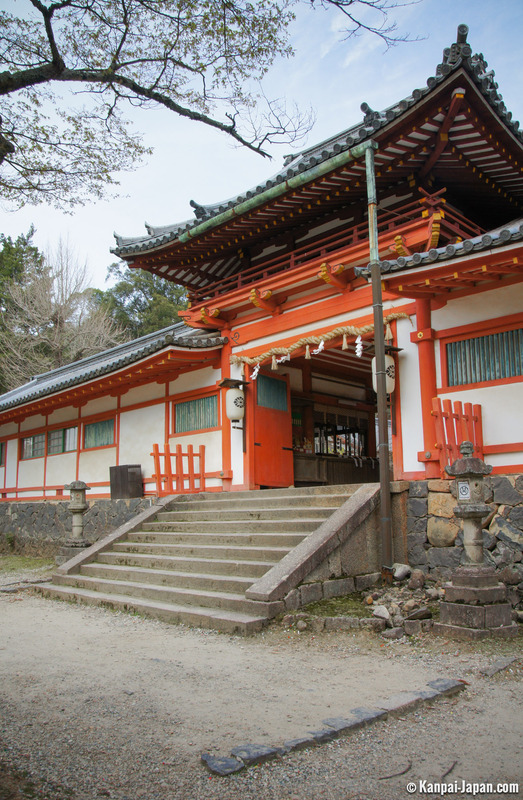 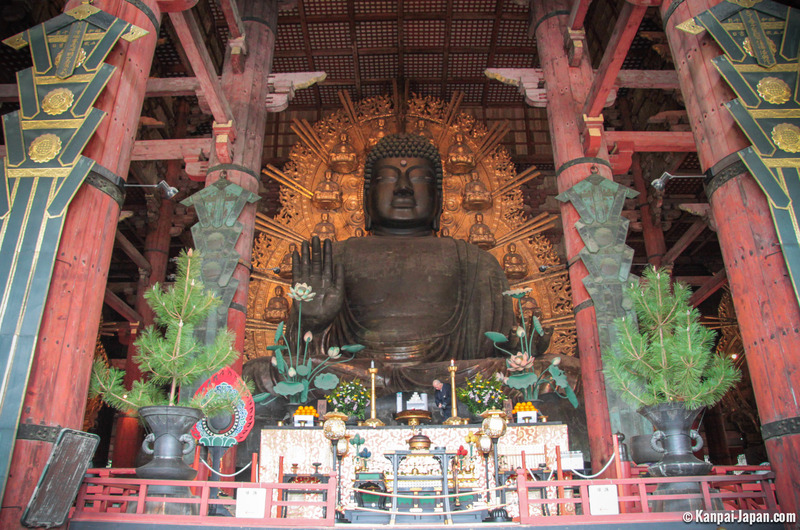 Its most Eastern part also houses other temples such as Hokke-do, Kaidan-in, Shoso-in or Nigatsu-do, of less imposing and ostentatious dimensions but pervaded with a quiet atmosphere and richly decorated. 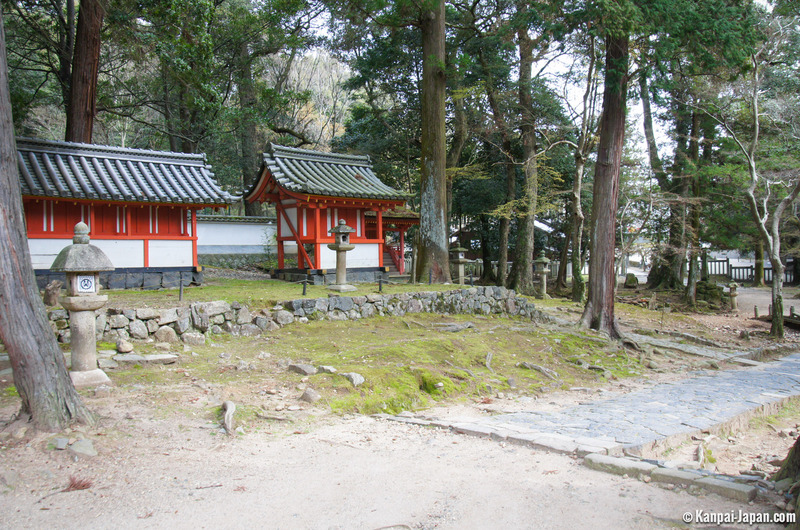 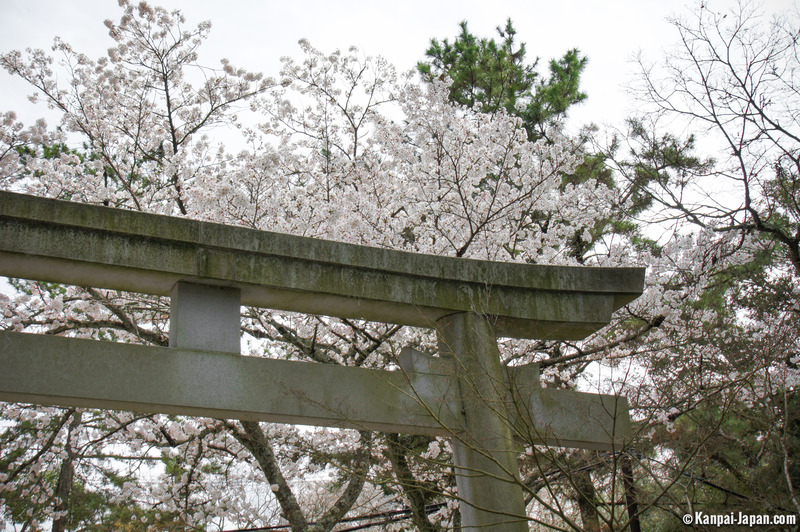 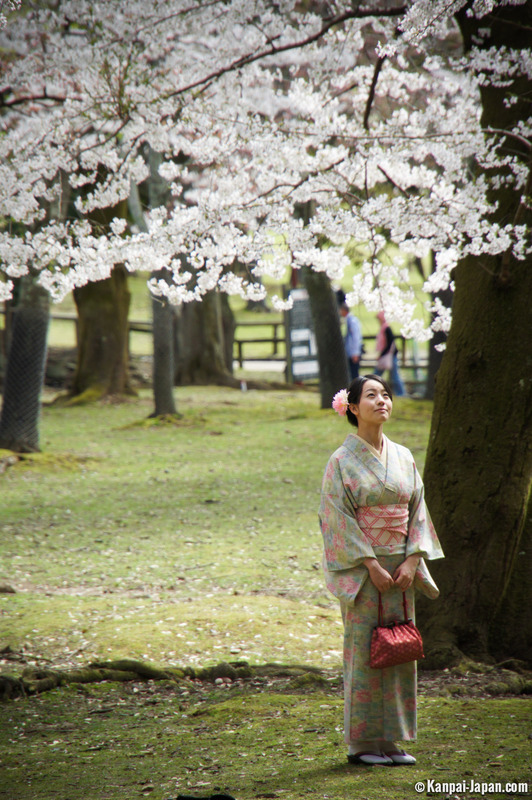 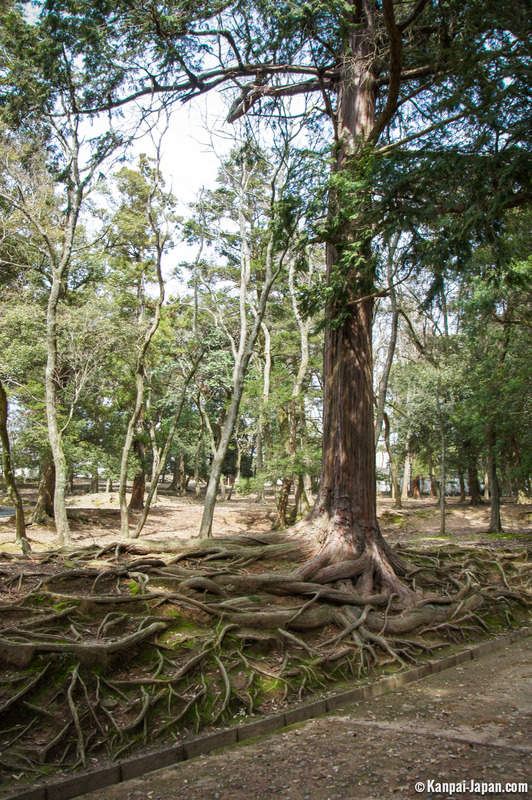 It also opens onto the beautiful Wakakusayama hills. 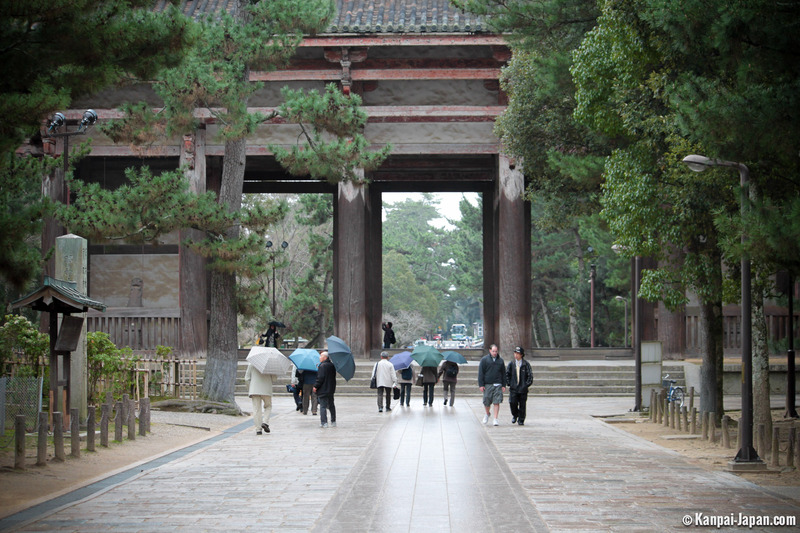 To top it all, a museum was also opened by the main gateway in 2011. 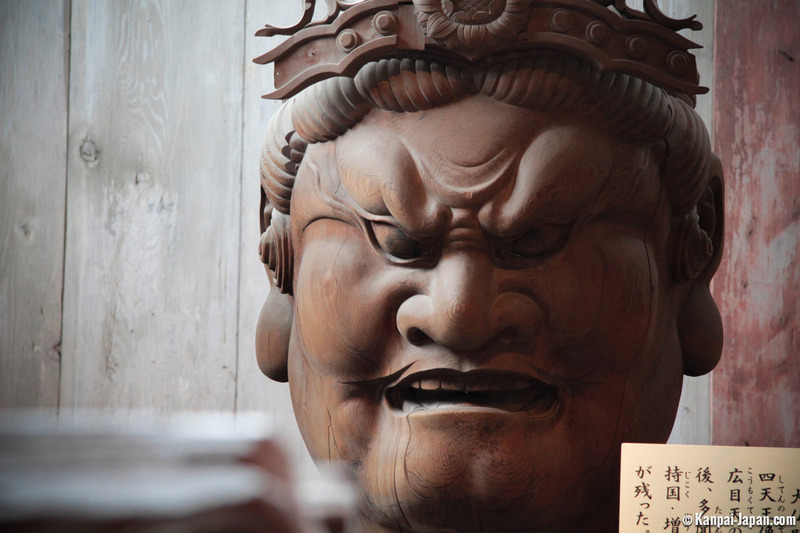 If you are simply curious or a lover of historical artefacts, your eyes will be treated to a feast of beautifully-crafted cultural and religious treasures. 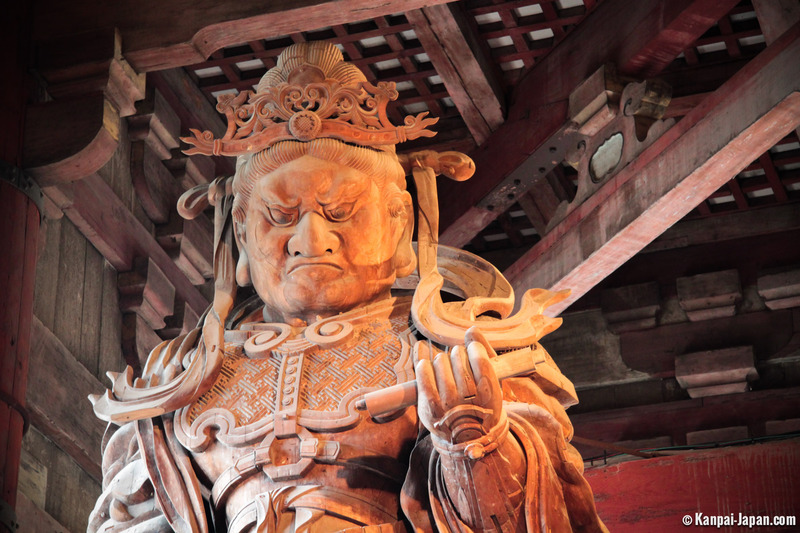 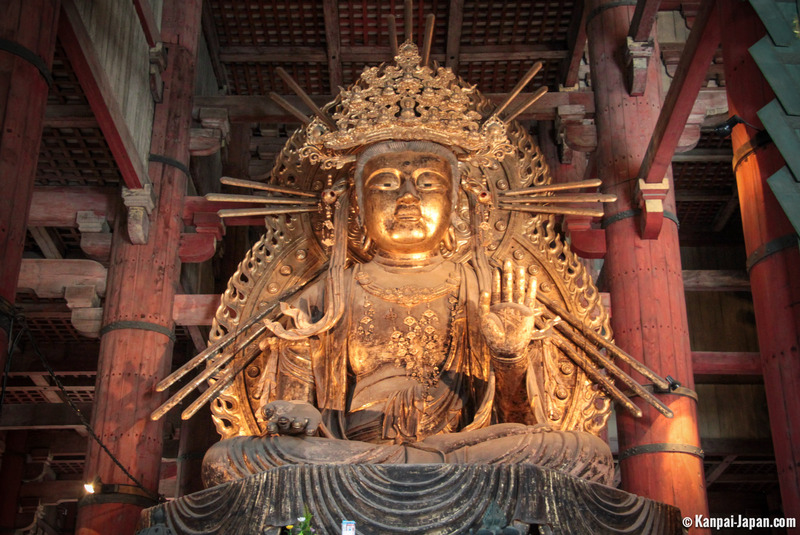 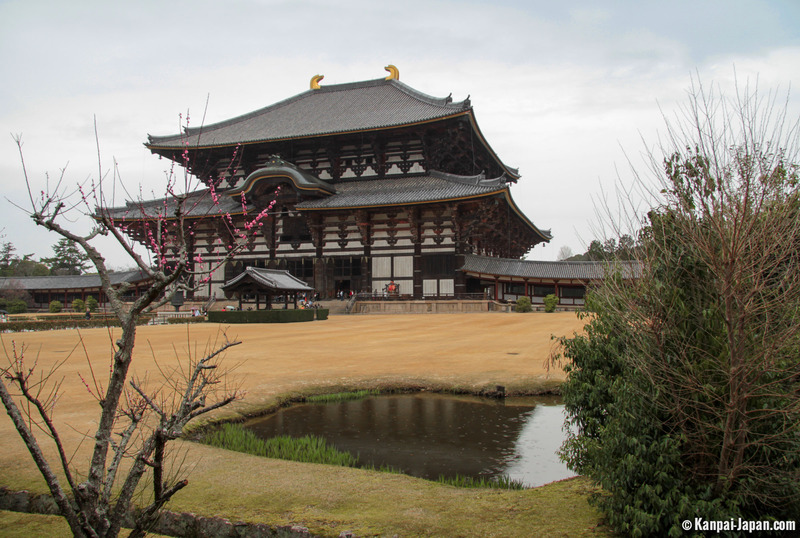 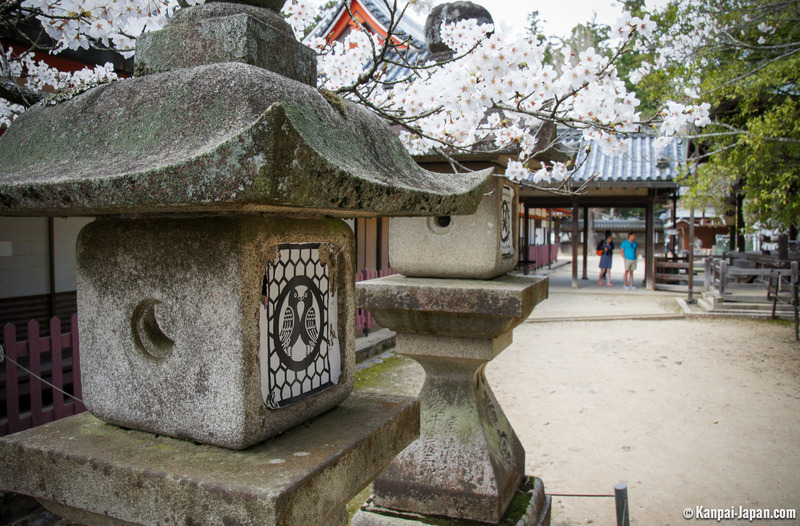 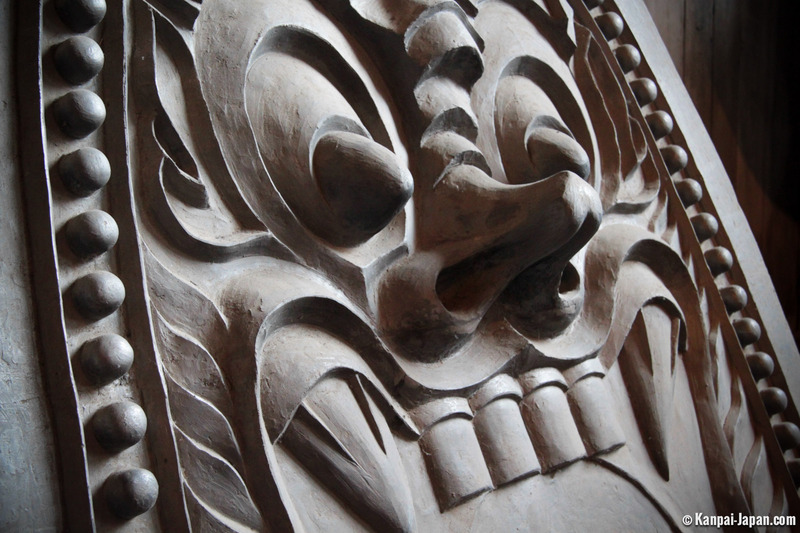 Needless to say that Todai-ji is an absolute must-see of your visit to Nara.